We all know the basic capitalization rules like capitalize the first word of a sentence. But there are a few more common rules for capitalization that I'd like to bring to your attention. President Obama is writing a book. I would love to interview President Obama. I wonder if President Obama is fully rested after serving two terms in the White House. I went to the store, then I went to school. In 2012, I lived in South Korea. Life was simpler then. 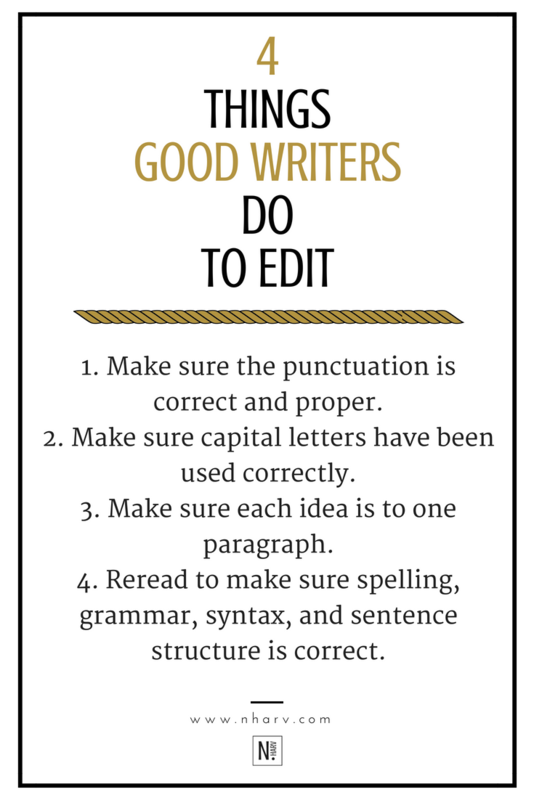 I thought it would be a perfect day to help you improve your writing swag. It's not that I don't think you already have writing swag, I just wanna upgrade ya! Okay, that's enough pop culture references for one blog post. Let's get into the content. 2. Omit the unnecessary. It doesn't take a million words to write a simple sentence. Save the extra adjectives and prepositions for another sentence. It's okay. Really. 3. Use punctuation marks correctly and properly. There's a difference between "Let's eat, grandma!" AND "Let's eat grandma!" Grandmothers are not food, but without a comma in its proper place, your sentence can read as such. Get the first chapter of my e-book for FREE! Thank you for joining me in my mission to help people (including myself) LOOK BETTER IN WRITING! Download the first chapter of my new e-book, Look Better In Writing: A Quick & Easy Guide to Punctuation Marks by clicking here. I'm so excited because this is the first book that I've written in direct alignment with my brand.